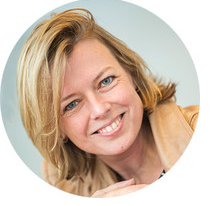 Mariëlle Roozemond is driven by the desire to contribute to new marcoms; i.e. to go beyond creating merely financial value and engage in the continuous search for meaningful services and products that are used by real people. Agile philosophy, tools and techniques prove to be very helpful, so she initiated the start of an Agile MarComs community of Agile Consortium. She combines a lectorship at Rotterdam University of Applied Sciences with her work as an independent Agile MarComs coach and trainer.